It's been a full week since the Las Vegas Sun decided that a couple of poorly chosen words about the 40/40 Club's demise on this blog qualified as a news story. It's time I offer some thoughts about what happened. It was all very strange when Sun editor Tom Gorman called Friday for a couple of reasons. Gorman was for many years the L.A. Times' entire Las Vegas bureau. I've always had tremendous respect for him and I've admired much of the tack the Sun has taken towards contemplative journalism since his arrival. But why would a top editor who generally does not cover the news call me? And why did the paper post an article about a controversial topic without an actual byline when bylines are most important for transparency when the coverage is of a controversial topic? Did it really take the entire "Sun Staff" -- or even more than one person? -- to cover something as small as what a blogger wrote? Gorman confused me from the start by asking about the big controversy surrounding my post. Up until that moment, I'd not known there was one. My 40/40 post was three days old when he called and, at that stage, I'd received a few comments on the blog agreeing with my views on the 40/40 Club's demise and not a single email about it from anyone aggrieved by the racial content. Gorman's claim defied the laws of the Internet. If this were a big deal, I'd have been swarmed by angry people writing angry comments and emails. Activists know how to mobilize people in this era to make their voices heard. Nobody did so. Richard Abowitz disagreed with my take and its racial dimension on his L.A. Times blog, but he didn't suggest I had been offensive. I was genuinely surprised, particularly when Gorman said such people as State. Sen. Steven Horsford were angry about the chicken-wings line. Horsford had spent the week in Denver for the DNC and surely couldn't have known or cared about this without someone avidly pursuing his take. When I explained where I'd really been coming from -- that I was thinking "sports bar food" not "black food" -- Gorman actually started debating me about it. I knew then a hit job was underway. I chose from that point on to answer via email where I could be more confident that my words would not later be twisted for the Sun's purposes. So what were the Sun's purposes? Well, there's lots of speculation about that. The prevailing theory? Take a look at which Sun reporter I've criticized the most by clicking here and then look at who shares the byline of this story from the 8/29 newspaper about black-leader reaction to Obama's big speech. On Thursday, someone who hates me is chatting up black leaders; Friday the same black leaders are pissed about a blog they've never read by a writer they've never heard of. Coincidence? Could there be clumsier, more obvious and more journalistically suspect effort to fulfill a vendetta? It is shocking to me -- maybe not to many others who don't understand how legitimate newsrooms actually operate, but to me -- that a top editor would participate in such a dubious effort. I've great respect for most Sun staffers and, on balance, the media criticism in this blog has been far more positive than negative towards the newspaper. Calling black leaders to gin up a racial scandal is extremely offensive and cynical, as much to the black leaders being used in this ploy as to me. Had a black activist called THEM to complain, perhaps they might have something. But building an entire story around reading bits of a blog post? That's a pathetic waste of journalistic resources. That said, I was still in the wrong. The wording I used was not intentionally racist, but it was careless and glib and, ultimately, could reasonably be read in an offensive racist context. So I failed because I did not communicate well and I didn't consider carefully enough what I was saying. So what did I do? Well, first, I owned up to my mistake publicly and explained myself. It's ironic that the Sun would be the ones to prompt me to do so, given that when the Joe Schoenmann scandal erupted these watchdogs of the public good felt absolutely no obligation to the public to explain how their reporter had been permitted to glibly smear -- as racists, no less! -- an entire community of Las Vegas. I couldn't get a comment out of anyone at the Sun about that matter -- not even a no-comment response! -- but I live by my creed and I responded anyway to Gorman and then to the public. I also took to heart the teachings of modern black and white leaders, including that biracial fellow who might become our 44th president. I called each of the people in the Sun piece to personally apologize and explain myself. Dialogue, they say, is how we learn, teach and heal. And in the cases of Assemblyman Harvey Munford and the Rev. Robert Fowler, it was a pleasant exchange. I did not, by week's end, manage to get Sen. Horsford on the phone, but we did exchange email and he even posted a kind comment on this blog. Only the biggest flame-thrower in the Sun piece, UNLV Afro-American Studies Prof. Rainier Spencer, who compared me to Fuzzy Zoeller, decided that such dialogue is fruitless: "I appreciate the invitation but don't really see the point." 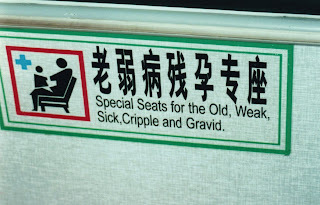 Uh, OK. I also went out on Monday evening for chicken wings with another black activist. No, that's not a joke. Alex Dixon, 27, invited me on the blog and so I went. Dixon had also been perturbed by what seemed like stereotypical language but then was appreciative of my later post. And he had another theory for why the 40/40 Club failed: The chicken wings sucked. “To make amends, I offer to share a Vegas classic: six hot wings a smooth draft and $2 for video poker at a PT’s Pub of your choice,” he wrote. Seemed like a good time. So we had our wings – with Diet Cokes and sans video poker – and spent an hour or so mulling issues of racism, the media and politics. We also noticed the similarities of our lives as young minority professionals, him as black and me as Jewish and gay. I made a new friend and I left pleased that we aren't so polarized that we're unable to actually talk, explain ourselves, share our experiences. Also, the wings were among the best I've had in years and are now a constant craving of mine. A final footnote. On Sunday, I was contacted by a reporter for the Las Vegas Review-Journal who was working on a piece for Monday's newspaper on this flap. But then it turned out that they chose not to publish whatever story was cooking. I can't know why, but I suspect that as critical as I've been of some aspects of the R-J, someone over there had a clearer head than the folks at the Sun and realized that this just wasn't an actual news story. So, hopefully, this is over. And I've learned a thing or two. I don’t imagine the folks at the Sun who chose to invent this so-called controversy would have expected an outcome like that. THE PETCAST IS LIVE TOMORROW MORNING! 10 a.m.: Dena Jones, program manager for the World Society for the Protection of Animals. 10:30 a.m.: Dr. Denis Marcellin-Little, veterinary orthopedist behind groundbreaking prosthetic limbs surgery for pets. 11 a.m.: Daniel Rechelbacher, pet owner suing toy company over a toy that led to the amputation of his dog's tongue. Anybody have any idea? I found this lapel pin on the ground in the parking lot after the focus group on Sarah Palin I covered last night. Just wondering. 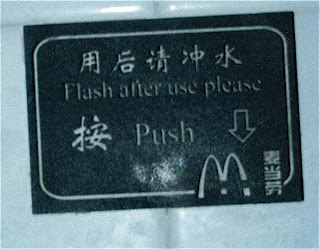 Continuing our odd-photo tour of my scrapbook, this one is also from Shanhaiguan in China. See all the photos in this series so far just by clicking here. 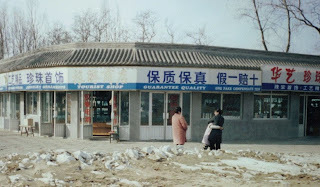 It says: "Guarantee Quality One Fake Compensate Ten." Show is UP: The *%@& Bloopers Anniversary Show! Sept. 4: The &*#@! Blooper Anniversary Special! SPECIAL EXTRA: EVEN MORE BLOOPERS! The show you hear may make us sound like well-spoken, polite, erudite podcasters, but like many things in Las Vegas, that’s an illusion. For the past three years, we’ve been recording our show live with a listening audience of, well, tens, on the Internet. And so, as we did last year for our anniversary, we’re pulling the curtains back this week and airing all the behind-the-scenes drama. The curses! The chat people! The arguments! The Neil Sedaka impressions! The Steve abuse! It’s our 3rd birthday and we couldn’t be more thrilled, so sit back, relax … and beware. 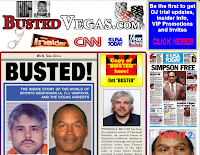 In Banter: Vegas Podcast-a-Palooza thoughts, Mark has left LVRocks to reinvent the air conditioning, where the would 40/40 Club work, Yellow Tail Sushi opens at Bellagio, Criss Angel ups the hype with another delay, the M Resort’s blimp is delayed too, Virgin America debuts this week, the Price is Right Live’s fun but odd, Manilow changes his name and direct flights to China could be years away. Turn Right at N. Elvis Alive Dr! On Labor Day, I attended a barbecue thrown by a friend up on Mount Charleston. I just love going up there when I'm not heading to the abysmal, overpriced German restaurant racket called the Mount Charleston Lodge. It was about 25 degrees cooler than the valley, so for a couple of hours it was almost like that thing called autumn that I vaguely recall from my upbringing on Long Island. Miles and I so wish we could live on the mountain. Hell, almost everything was for sale and, even though I'm told prices are depressed by 25 percent, they're still out of our price range. Not to mention, our archaic HOA rules bar us from renting out our current place, so we're trapped unless we want to take a bath selling it. Oh well. Huh? 22 Car Garage? Where? Is that just a really awful typo? Here's this home's Zillow.Com entry. Its Zestimate is $1.4 million. Other Googling reveals it has been on the market for as much as $2.8 million. And this isn't even on the mountain. Yikes. 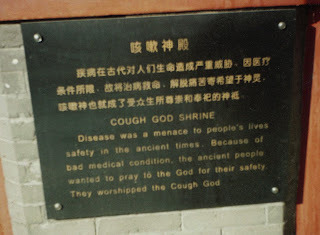 If you can't see it, the English reads: "Cough God Shrine: Disease was a menace to people's lives safety in the ancient times. because of bad medical condtion, the ancient people wanted to pray to the God for their safety. They worshipped the Cough God." For some reason, I like to read it in that intonation of the "Law & Order" opening. What's next, a shrine to sneezing? An idol for idiots? Praise for pizza? Maybe absolution for annoying alliteration? THE STRIP IS LIVE TONIGHT...WITH BLOOPERS! Join us live in the chat at LVRocks.Com from 7-8 p.m. PT for our 3rd anniversary special, so as is our tradition we're rolling out the bloopers, outtakes and asides from the past year in one fun-filled edition. Plus, we'll discuss a lot of Vegas news, including the controversy surrounding the demise of the 40/40 Club, the third delay of the Criss Angel show and a bunch of other fun things that I'll remember once I finish the script! No celebrity this week, but we do have a new trivia question. Our normal shows will resume next week. Fair warning: This episode is full of all the foulest language we cut out the rest of the year. You've been put on notice. I received a note from the Cirque folks just now that the Criss Angel Believe show at Luxor is being further delayed. Previews were to start 9/12 but now will start 9/26. They'll have one 7 pm show between 9/26 and 10/7. Grand opening remains 10/10. Folks who had tickets for the other performances will get either refunds or can reschedule. Why the delay? It's "due to the enormous complexities and technical precision required." OK, I'm now officially fascinated by this show. What on earth will they be doing in that theater that makes for such complexities? In some odd way, these delays are actually increasing the hype. But I do pity the Angel fans who may be shuffling their vacations not once but twice now to see their guy's first appearance. Which one are you? And, more intriguingly, which one are the figures in the graphic?!? I take many others to task in my profession for their careless use of words and their unwillingness to explain themselves. Now it's my turn. A few days ago, I blogged a quick analysis of why I think the 40/40 Club failed at the Palazzo. I have a two-part view. 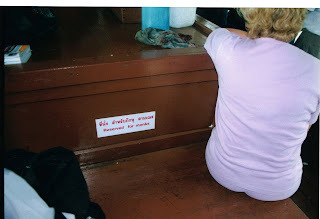 One was that it was badly located in the resort and the signage for it was substandard if not non-existent. The other, more controversial, is that it was a bad match for the Palazzo. The 40/40 Club is a business popular elsewhere among young, black urbanites that was poorly matched with the overall emphasis of the resort itself. The Palazzo is not marketing itself in any way, shape or form to the broader black community, does not advertise in any national black publications. Certainly, they seek wealthy patrons of all types, but the wealthy at the level of the Palazzo's clientele are not typically folks who hang out in sports bars. 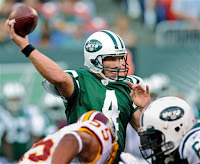 As I wrote, the 40/40 Club could have worked in many other places on the Strip. But the Palazzo was not in any way actively engaged in pursuing either of the 40/40 Club's core constituencies: Middle-class sports-bar goers or blacks. I stand by this analysis. "I mean it to be an objective look at an inappropriate pairing between the aesthetic of a resort that envisions itself and markets itself as the lap of luxury and a place known for being popular among rappers and folks who like a good chicken wing." I can see now how the reference to chicken wings was taken, as some sort of a slap against food seen by many as stereotypically "black." And that is absolutely, positively, not how I intended what I wrote. Chicken wings are also a food stereotypically found in sports bars. It is the first thing I think of when I think of food in sports bars; I suspect I'm not alone in that. I've never been in a sports bar that didn't serve them. They also are widely associated with watching sporting events, or at least they have been in my life dating all the way back to the first time I attended a fraternity party in college on through every single Super Bowl viewing I've ever been to. You, too, I suspect. I did not intend to use this as an allusion to black people. And I totally see why people think I did. So I apologize for the carelessness of this sentence and I'm sincerely sorry about the ire it has drawn. I should have known better and I really, truly am sorry. Amid the acres and acres of very, very predictable opinion pieces on the election in both Vegas papers today -- I'm just shocked, shocked! that the R-J's Erin Neff found Obama's speech on Thursday exciting and that the editorial board would be impressed by Gov. Sarah Palin's resume -- there was some actually interesting stuff. * The casinos in the Gulf Coast region are shutting down this weekend in advance of Hurricane Gustav. I'd love to point you to Howard Stutz's short piece in the R-J today detailing this, but I cannot locate it anywhere on their fabulous website or even indexed in Google News. Of course, everyone's hoping this storm isn't as bad as advertised. But it did make me wonder something. How is it there haven't been any punishing typhoons beating the crap out of Vegas' other significant colony, Macau? Tis the season. I recall several times when I was in Asia typhoons did intense amounts of damage. Just something that crossed my minds; look for this to happen sooner or later. * Norm Clarke's lead item about Tom Riccio, the guy who set up the OJ-Palace Station confrontation that is forcing me to sit in a courtroom for much of September waiting to see if The Juice finally get it, is just utterly chilling. Riccio strikes me as the very worst, the most cynical and corrupt sort of being our celebrity-scandal checkbook-journalism culture has produced. He set up the incident in the first place to sell the audio tapes, which he did. And now he's selling ad space on his limo for $7,500, dinner with him the night of his testimony for $5,000 and you can pay $6,000 to wear a hat with your logo. This is just pathetic. There's a whole site devoted to what he'll do for how much money. Ick. Maybe we can scrape together the money to get him to wear a hat that reads, "I am a disgusting human being and I have no shame." It's really hard for many people to feel sympathy for O.J. Simpson, but this guy helps. * The Travel Industry Association has been wasting its members' money for the past two weeks taking out full-page ads in certain tourism-dependent cities and presidential battleground states including Vegas demanding first Obama and now McCain offer a plan to rescue the nation's travel business in their convention acceptance speeches. This is an expensive media campaign -- spending hundreds of thousands of dollars, it would appear -- that results in precisely nothing. Do they really think that either candidate is going to lay out a plan to help one particular industry? I'm not saying that there aren't good reasons for this trade group to raise awareness of its issues, but it's ridiculous to write something to either candidate that reads: "We want to hear a real plan from Senator McCain/Obama to help make travel and tourism in the U.S. work better for travelers and millions who serve them." You can't just come out of nowhere and make such a demand on the eve of each man's most important public moment. When neither of them respond -- and neither will -- then what? Condemn them? Sure, that'll get them caring what you've got to say next time. ...is brilliant. 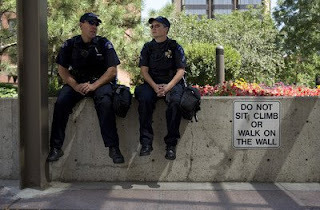 It was shot in Denver at the DNC last week by Review-Journal photographer John Locher. The paper ran it in Sunday's paper and made me laugh out loud. Didn't know monks wore pink sweatsuits and had bad blonde dye-jobs. 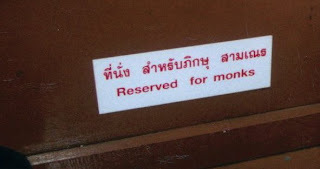 In the process of digging up this photo, I realized I have a treasure trove of goofy signs from my time in Asia. So starting with this one, I'm going to post one roughly every day until I run out. Feel free to email me yours.